Building your own fence is the easiest of DIY projects! Not only is it a great first time DIY project, it’s also a great way to keep your house safe and secure, especially for pets and children, and gives you a little extra privacy. Before you start, there are a few things you need to think about to make sure you don’t waste time and money… or annoy your neighbours. Do your research – there are laws and regulations around building fences. Contact your local council to check the restrictions around your property. Also, make sure you are building within the parameters of your property. To do this, contact a land surveyor. Post holes – It’s recommended that you get a contractor in to dig your fence post holes, to make sure they are even and in the right place. You don’t want to burst any pipes and get an expensive plumbing bill. See here for specials on our roundwood timber – ideal for posts. Layout – make sure you have a clear idea of the layout of your section. If there are any hills or dips in your property, you’ll need different sized fence timber and posts. And make sure you include a decent sized entry or exit, so you can still fit the boat in. Choose the right timber – before you choose what timber you’re after, think about why you want a fence. For example, are you after a white picket fence look to frame the house, or do you just need to keep the dog in? 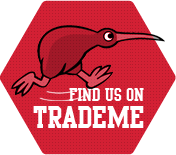 We are happy to help advise on what timber will be perfect for your fence.